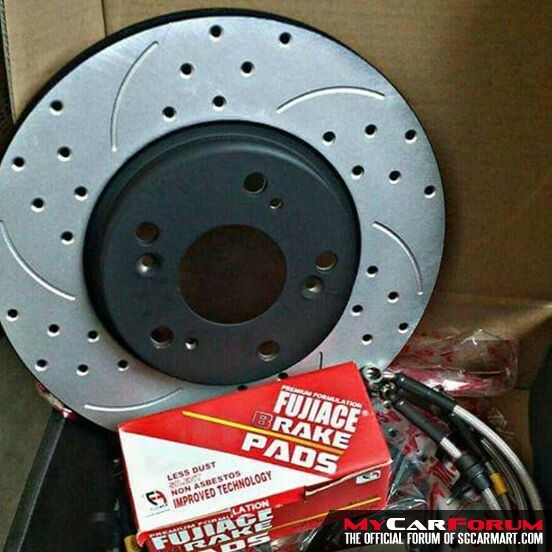 FujiAce Slotted & Cross Drilled Rotors with high temperature brake pads! Slotted Lines for enhanced braking while cross drilled holes for enhanced heat reduction! 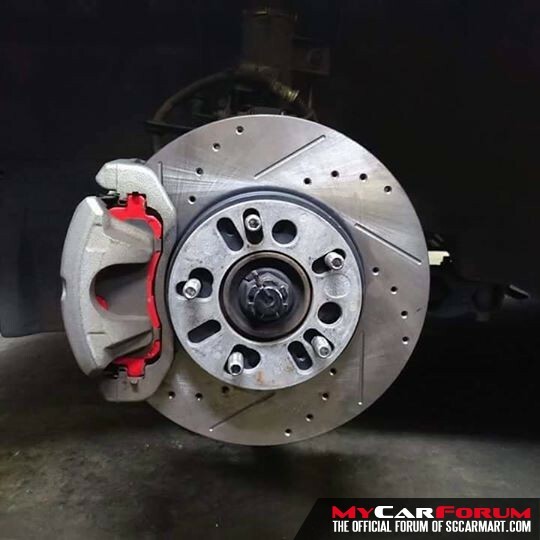 No need to change any brake kit! 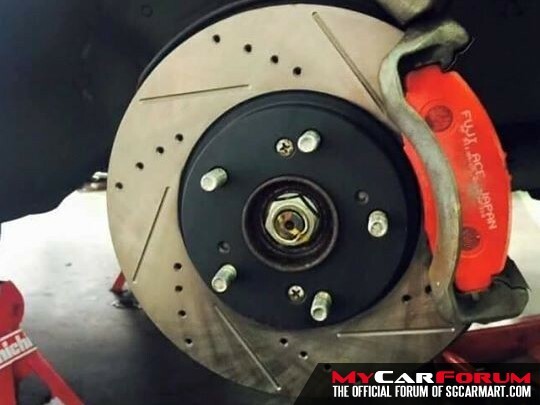 Enhance ur braking with our stock direct fit FujiAce Performance Brake Pads and Slotted Rotors for ur ride! Heat tolerance up to 800 degrees! 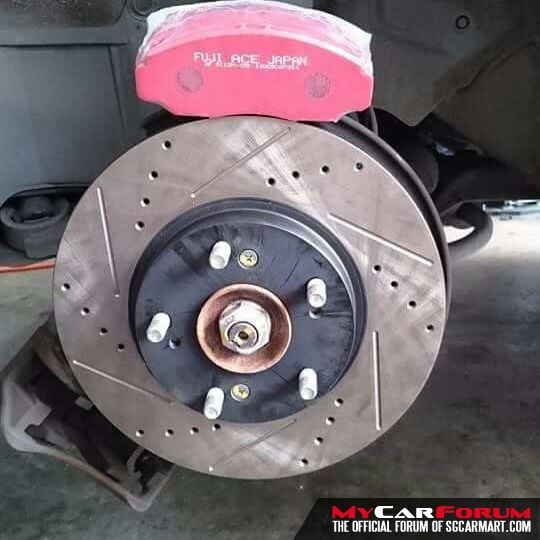 Promotional price for both brake pad and Rotors at $380 for a pair with installation! I am interested in the "Brake Kit". 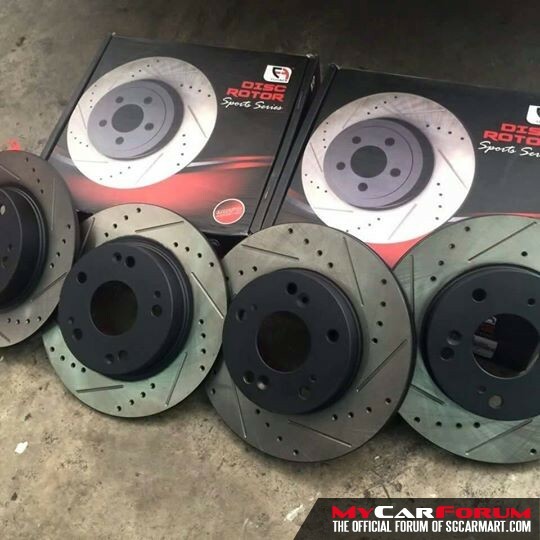 The Brake Kit is suitable for Honda Vezel, Honda Civic, Mitsubishi Lancer, Kia Forte, Honda Accord.